Personalised 600ml Stainless Steel Water Bottles. Available in White or Silver, measuring 210mm high and 72mm diameter. Personalise this item with your Photos/Images and/or text. 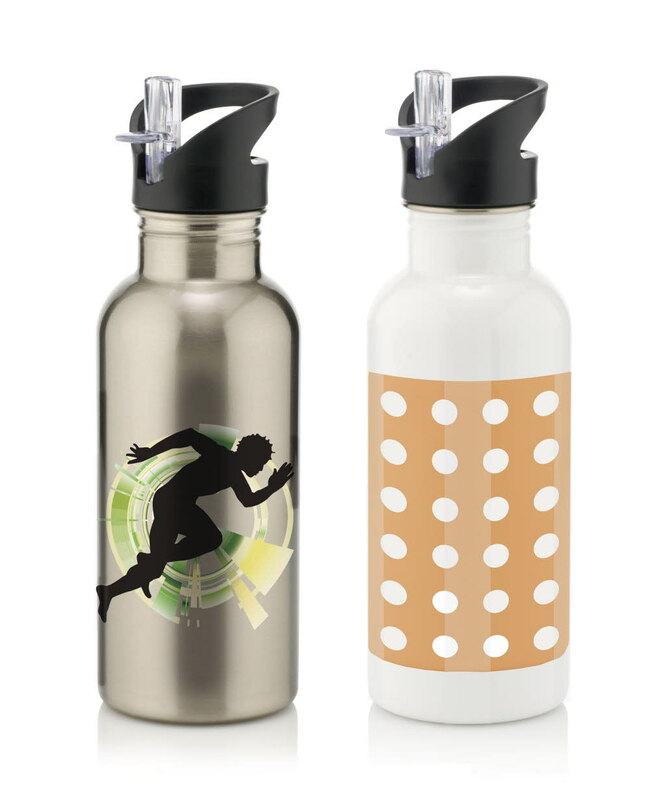 This is a great personalised gift for getting prepared for returning to school, no more lost and missing water bottles!